The Outdoor Interiors Eucalyptus Coffee Table creates the finishing touch for any bench arrangement in our Luxe or Venetian collections. This sturdy and elegant design will be the talk at your next party or gathering, and enjoyed for many years outdoors. 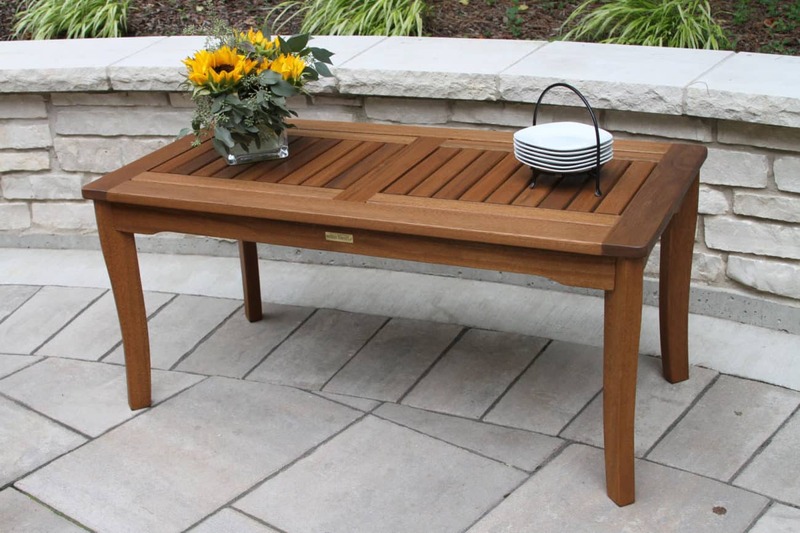 The Eucalyptus Wood Coffee Table is made from plantation grown Brazilian Eucalyptus and is finished with a beautiful brown umber stain for long lasting outdoor use and exceptional durability in all climates. The table has beautiful curved legs that matches our Eucalyptus Accent Table (19470). It displays well on patios & decks with our matching chairs, benches, loungers and rockers.